4. 4. 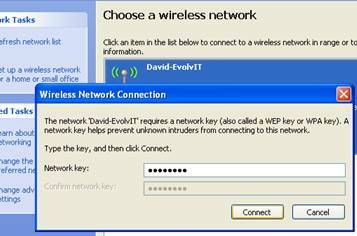 You will now be prompted to enter a security key if the wireless network you are connecting tois security-enabled. 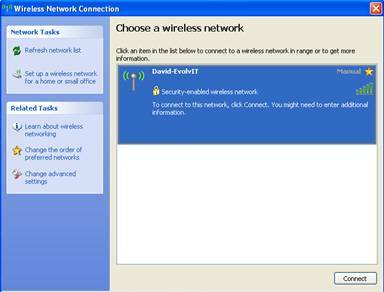 Type in the encryption key in both the Network Keyand Confirm network Key boxes, thenclick Connect. We all rely so heavily on our Internet and Wi-Fi connections these days, imagine how frustrated you felt the last time you lost either…or both! 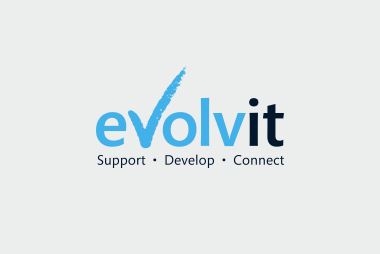 This is where Evolvit come in, we are a trusted outsourced IT Services provider in Bristol working with many companies across the region and supporting them to ensure they remain functioning even when they have IT or power issues. Get in touch and speak to one of the team to find out how we could help your business stay one step ahead.